"Perhaps the most important lesson is that we spend too much energy trying to foretell the future, and too little trying to be resilient whatever happens. . . Because scenarios are persuasive stories, they can help us face up to uncomfortable prospects and think clearly about possibilities we would rather ignore. And because scenarios contradict each other, they force us to acknowledge that, in the end, we cannot actually see into the future. As a result we move from 'What will happen?' to 'What will we do if it does?'" To become "resilient whatever happens" requires acting before, not after, the next financial crisis headlines the evening news. Many now reject the old financial religion that diversification amounts to the proper blend of stocks and bonds and little else. That formulation was acceptable when the money was sound and the federal government had not buried itself under a $19 trillion pile of debt. It held sway when confidence was running high and considerably more of the population than 17% were satisfied with the direction of the country (a polling number recently reported by Gallup). 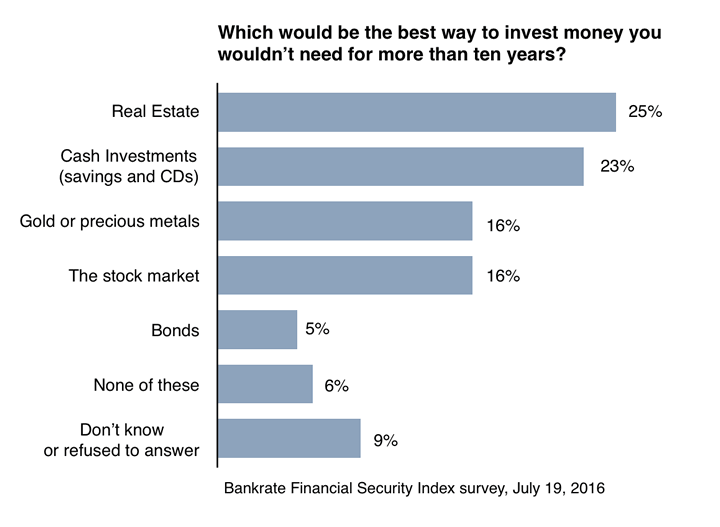 Now investors are looking to add safety and liquidity to their portfolios to augment the pursuit of capital gain, and, as the Bankrate survey shows, are now turning to the preeminent safe haven – precious metals. Even Willem Buiter, chief economist for Citigroup and a long-time critic of gold, now says he would own the metal. "Gold, in times of uncertainty and especially in days of uncertainty laced with negative rates, looks pretty good," he concedes. At the same time, he sees stocks as in a bubble. He believes investors are "pinning their hopes on a long-term growth of corporate earnings which bear no relationship to underlying economic growth." Buiter's change of heart is symptomatic of the trend charted below by our friends at SentimentTrader. This chart depicts the ebb and flow of sentiment towards gold. The Bankrate chart shows its cumulative effect. 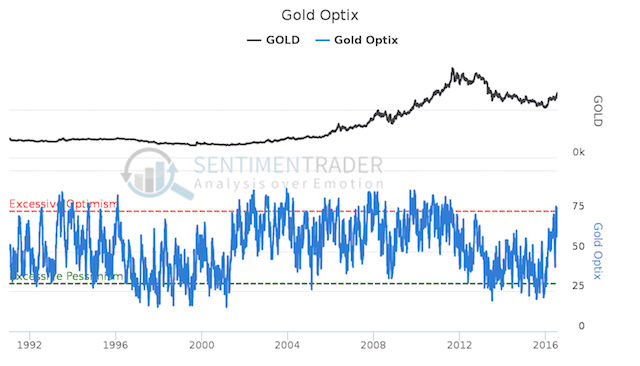 Note particularly that the positive change in sentiment toward gold began in the early 2000s and did not retreat below the excessive pessimism line until 2013-2015, when gold fell from its all-time highs. Now, since January, gold sentiment has returned to positive territory mostly driven by the low-to-negative rate environment, but also because gold once again looks to be under-valued. If Buiter is correct, and I think he is, in the months ahead we might anticipate another significant flow of capital out of stocks, bonds and cash savings and into gold and silver. Jim Cramer elaborated on the Bankrate findings by saying that "successive waves of mistrust, abuse and fear have now become ingrained into the American public." This newsletter has provided cutting-edge coverage of the gold and silver markets for over 25 years. Its content is widely quoted, re-circulated and sourced at websites all over the world. Its principal objectives have always been the same – to keep our clients informed on important developments in the gold market, condense the available gold-based news and opinion into a brief, readable digest, and, most importantly, to counter the traditional anti-gold bias in the mainstream media. That formula has won it a five-figure subscription base. If you would like to become a subscriber, we invite you to sign-up at our registration page. There is no charge for the service and your participation is welcome. 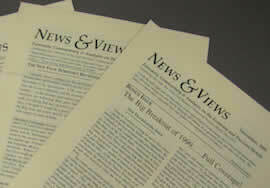 This issue is published in the clear to provide as an introduction to prospective readers. Future issues will be available only through the subscription service.